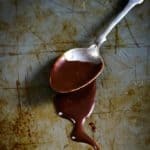 Chocolate Fudge Sauce is an easy to make chocolate sauce which you can pair with lot of desserts like churros, pancakes, cupcakes and many others. Here is how to make chocolate fudge sauce at home. Chocolate Fudge Sauce is a rich, luscious chocolate sauce that is a perfect drizzle for pancakes, waffles, cupcakes and any dessert you can think of. Quick and easy to make, it keeps well in a refrigerator for up to a week. I usually have a bottle of this sauce ready in my refrigerator to dress up my desserts and just a drizzle of this chocolaty goodness transforms my desserts from a simple ice cream or a cupcake to a gourmet dessert. 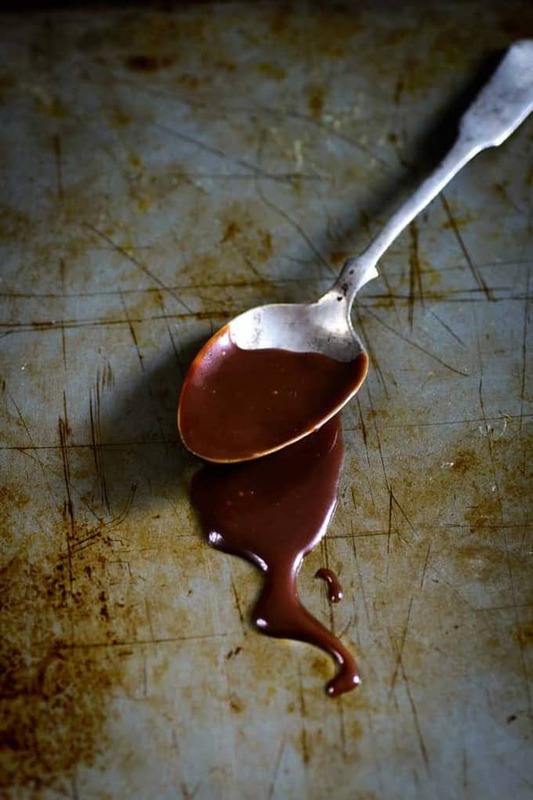 The process to make Chocolate Fudge Sauce is very simple. Just dump all the ingredients in a microwave safe bowl and pop the bowl in the oven. If you don’t have a microwave at home, you can do it over the stove top as well. Just make sure to stir the sauce continuously otherwise the chocolate will get burned and you will have a burnt sauce. Chocolate Fudge Sauce comes in very handy while making a quick glass of chocolaty milkshake for a kiddo. Often, I just blend Chocolate Fudge Sauce with ice and milk and prepare a chilled glass for myself as well. Chocolate Fudge Sauce is an easy to make chocolate sauce which you can pair with lot of desserts like churros, pancakes, cupcakes and many others. Add all the ingredients in a microwave safe bowl. Heat the bowl on high heat for 2 minutes. Take the bowl out and give the ingredients a gentle mix. Whip till everything comes together and the sauce is creamy and smooth. If you don't have a microwave, you can make the sauce on stove top as well. Just keep stirring the sauce so that chocolate doesn't burn from the bottom of the pan. Cool the sauce and store in an air-tight container in a refrigerator for up to a week.